On March 23, a delegation of the Ministry of Defense of Azerbaijan that is on an official visit to the Islamic Republic of Pakistan watched a military parade dedicated to the National Day of Pakistan. Minister of Defense Colonel General Zakir Hasanov took part in the parade as a distinguished guest. 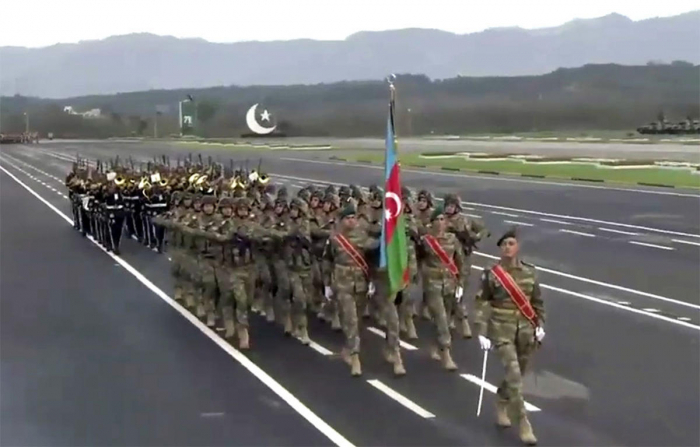 Our country has been represented by the parade squad of the Azerbaijan Army in a military parade held with the participation of representatives of the armed forces of many states.